The Co-operatives and Internal Trade Ministry said 20,512 metric tons of paddy had been purchased from farmers in the Maha season at over Rs.550 million. 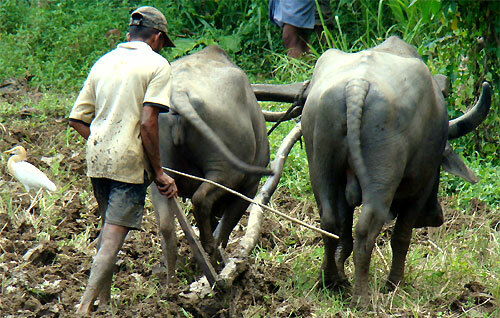 The Ministry further noted there was more paddy bought than expected from areas like Amapara, Killinochchi, Polonnaruwa, Anuradhapura and Trincomalee. However farming organisations disputed the government’s claims and charged that most farmers were compelled to sell below the guaranteed price to private traders. “Farmers are forced to sell their produce at lower prices” said a spokesperson for Movement of Land and Agricultural Reform, Mr. Sunil Shantha. The price at which retailers sell rice to the public is high when compared to the price paid to farmers by private buyers. “Due to the rises in costs along with loans and interests to be paid, farmers have no choice but to sell their produce at whatever price they get” he said. Meanwhile the Co-operatives and Internal Trade Minister Johnston Fernando said the Paddy Marketing Board bought paddy at a guaranteed price of Rs.30 from any farmer, given that the paddy brought to them met the set standards. The farming community however believed that the said standards were highly unfair. The farming organisations further charged that the government’s reason for not buying all the produce was the lack of storage space. Yet many storage units and warehouses built by the paddy marketing board were being used for other purposes. “The Paddy Marketing Board builds warehouses for farmers and then sells it to businessmen” said Sunil Shantha. He noted that various farming organisations have appealed to the government to increase the guaranteed buying price to Rs.40.“If paddy is not being bought at the already set price how can farmers expect an increase, yet living costs continue to rise and farmers continue to struggle to survive” he said.